"Smooth…Mellow…Versatile…" This is what audiences have been saying about the elegant sound of The DeMarjon Trio, a group of seasoned NYC-based musical veterans specializing in the songs of the Great American Songbook as well as some of the more contemporary popular standards that have been embraced by young and old alike. We're talking about the hits of Frank Sinatra, Tony Bennett, Nat King Cole, Johnny Mathis, and now Rod Stewart, in addition to the timeless classics written by George and Ira Gershwin, Harold Arlen, Cole Porter, and…Van Morrison. The group consists of a vocalist with rich chops and wide dynamic range, a keyboardist with precision, subtlety, and taste, and a virtuoso jazz guitarist with an intuitive feel for mood and texture. Together they create a sophisticated and refined mix that can swing with the best, or softly romance your heart to a flutter. They can take center stage when requested to (and provide hosting duties) with charm and personality, or play discretely and unobtrusively in the background when your guests want to mingle with little or no distraction. These guys "get" what you need to maximize the flow of any social or corporate event, wedding, reception, or cocktail party. Given the configuration of one vocalist and two instrumentalists, The DeMarjon Trio has a performance style that's a little quieter by design, but swing they do, while their romantic ballads are warm and intimate, with sweeping emotional impact. Because of their flexibility, they can fill most any musical space. Unlike other groups that mix and match musicians from job to job, this group is one coherent self-contained unit that always plays together. They know each other's instincts like the back of their hands, which explains why their dynamic interplay is so fine-tuned and why the music they make is so engaging. Your guests will love The DeMarjon Trio and you will love the comfortable vibe they bring to your affair. Their musical skills are top-shelf, their attitude is thoroughly professional and crowd-friendly, and agents and event planners find them co-operative and very easy to work with. Their look is smart and hip, and on good days and in the right light, they can even be downright dreamy! Collectively they have played in every kind of venue—from small bars to cabarets to catering halls to large performance arenas to the grandeur of Carnegie Hall and the Grand Ballroom of the Waldorf-Astoria. They add just the right touch of class and functionality to any occasion, and their performance can be custom-tailored to your specific entertainment needs with a focus on your favorite songs. 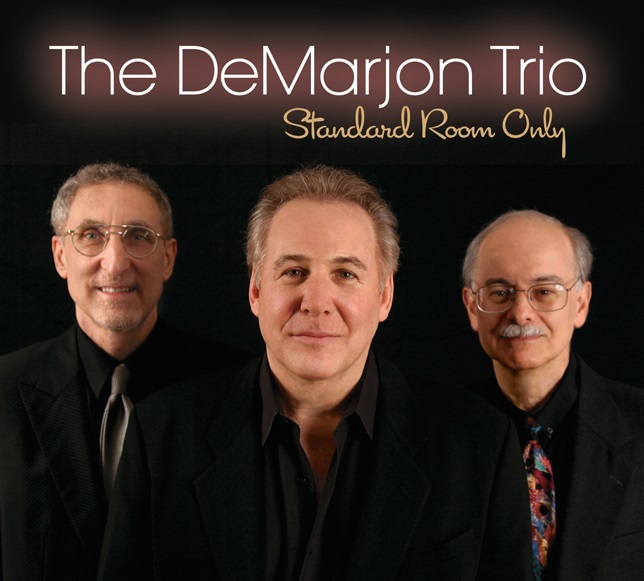 The DeMarjon Trio—new to GigMasters but not to the audiences who have already taken them to heart—contact them today and let them help you make your event a very special one. Please note The Demarjon Trio will also travel to Long Island City, Brooklyn, North Bergen, Bronx, West New York, Union City, Weehawken, Flushing, Fairview, Edgewater, Hoboken, Jersey City, Ridgefield, Cliffside Park, Palisades Park, Fort Lee, Secaucus, Ridgefield Park, Leonia, Englewood Cliffs.